I’d been planning to come here and post some blizzard pictures, but I thought I’d wait until the boys and I finished our shoveling job. Well, they went back to school this morning, and we’ve still got a small pile of snow by the garage door. I guess that falls on me. Sigh. At any rate, I decided not to share the blizzard pics anyway, because I’ve already posted the best ones on social media this week, and you know what that means? That means they’ll all show up in This Week in Pictures on Saturday, and you’d have to look at them twice. So nevermind. Instead, how about I tell you about the new pattern I quietly published with very little fanfare last week? I had this gorgeous alpaca worsted in all the right colors, and I needed a scarf, so I grabbed an E hook and just improvised my way through it. The result is this lovely soft reversible scarf that I can wrap around my neck twice for extra coziness. The beauty of this thing is in the materials. 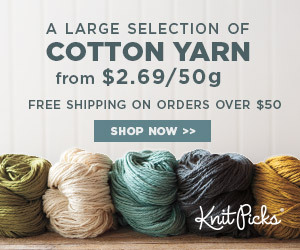 The variegated yarn does all of the work for you. There’s no fancy stitch pattern. 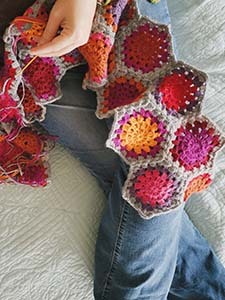 You only need to know how to do a few basic crochet stitches. This is totally a low-concentration project, leaving you free to pay attention to the TV, a crackling fire in the fireplace, or maybe even (gasp!) a spouse or offspring who want your attention. While this is meant to be beginner-friendly, it is not a tutorial. It’s just a pattern, so you do have to actually know how to do the stitches. I would be happy to whip up a video that demonstrates these things, if anyone feels that would be helpful. A note on the yarn I used: I got my hand-dyed baby alpaca at Rhinebeck from Morning Moon Alpacas. They don’t have much of a web presence in terms of their yarn, but if you are eager to get your hands on the same stuff I used, you can probably contact them and let them know you’re looking for colorway 13-A. Need more details before making up your mind? Everything you could possibly want to know is on the Lucky Charm Scarf page. If you still have a question, feel free to leave a comment!